VST plugins Corvex, Ecox and Filtox are all based on the same intuitive control concept and authentically reproduce the natural, full sound of analog tools. Ecox is an inspiring plugin for emulating realistic tape echo sounds. It even authentically reproduces system-dependent tracking fluctuations and loss of highs during each feedback. Control the frequency response of a modulation source with the Filtox plug-in. It offers a whole new bandwidth of creative possibilities for distorting synthesizer sounds (for instance filter sweeps on pads) or drum loops. Corvex creates an elegant tapestry of sound with analog-style chorus and flanger effects. Add acoustic depth to instruments and make them sound fuller or create the illusion that an object is layered. 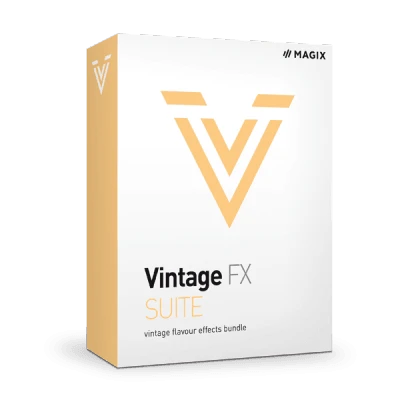 The Vintage Effects Suite expands the effects range. with aChorus/Flanger, a delay and a filter plug-in, Corvex, Ecox and Filtox, all of which are based on the same simple operating principle and will wow you with their incredibly exciting effect sounds. The Vintage Effects Suite is available as a VST plug-in.